A public toilet on Wenxiang Road in Songjiang University Town has been dubbed "the Most Beautiful Toilet" in the neighborhood. A public toilet on Wenxiang Road in Songjiang University Town has been dubbed “the Most Beautiful Toilet” in the neighborhood. The toilet, as if a house in the forest, is surrounded by plants and decorated with bonsai and glass exterior wall. Since 2011, the district has made efforts in public toilet construction to improve standard service. As the coverage of civilized toilets has expanded, the district is to explore and develop the characteristics of each public toilet, and make them fit well with surrounding environment. 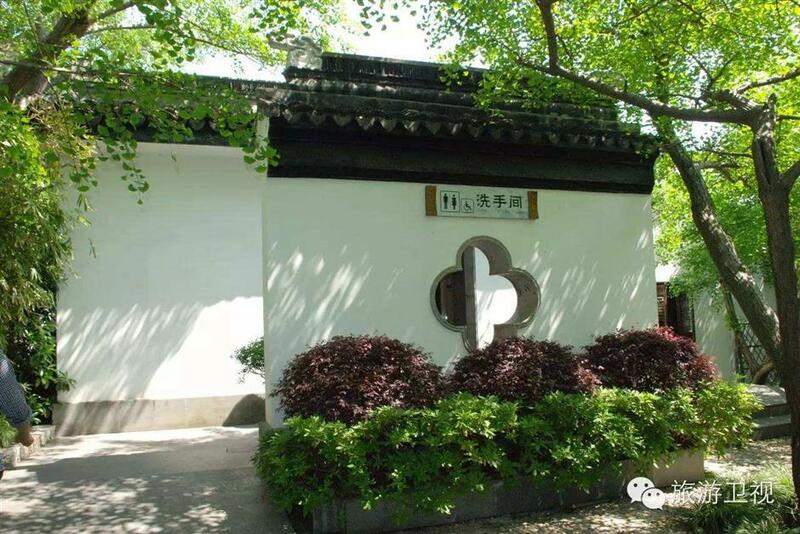 For example, the public toilet near Wenhan Road and Wenxiang Road is built into a “garden” with its exterior wall decorated with vertical greening. The traditional Chinese-style toilet on Silu Garden Square applies classic wooden doors and windows to add a touch of antique flavor. The district also adopts scientific technologies to promote smart toilet management. Residents can now scan the QR code to obtain information of surrounding public toilets, such as routes to the nearest toilets, opening time, or even numbers of toilet rolls. The QR code for public toilet information can be found on the surface of 1,000 garbage bins at bus stops or other public places. Each public toilet in town-level urban area has a cleaning worker to keep on top of sanitation. These toilets are well equipped with cleaning tool boxes, dryers, toilet paper, hand sanitizers, alarms, display cabinets and chairs. The district has finished the installation of intelligent systems in 24 public toilets. LED screens are installed above each stall to tell whether it is available or not. Solar panels are installed in some pre-fabricated toilets, offering power to lighting facilities. Next, the district will focus on public toilets in old town area and new development zones of Songjiang New Town.